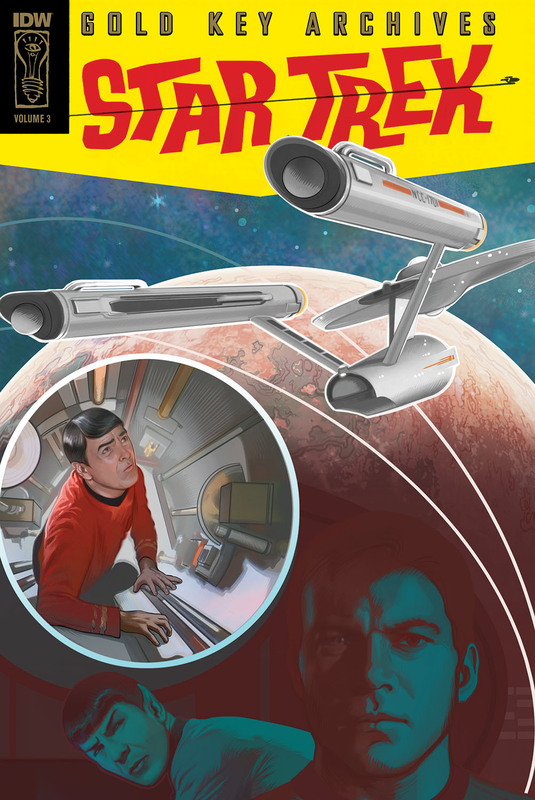 Due out in about a month is the third book in the Gold Key Archives, IDW's remastered reprints of the first ever Star Trek comics. 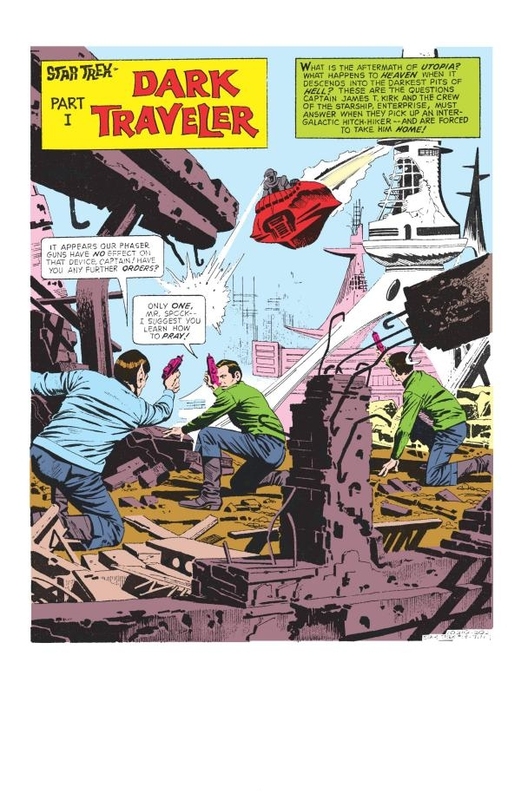 Volume Three includes issues thirteen to eighteen in the Gold Key series, Dark Traveler, The Enterprise Mutiny, Museum at the End of Time, Day of the Inquisitors, The Cosmic Cavemen, and The Hijacked Planet. All have been brought back to life more vividly than ever before, with new colouring, and presented in a hardcover book, with a beautiful new cover by Michael Stribling. 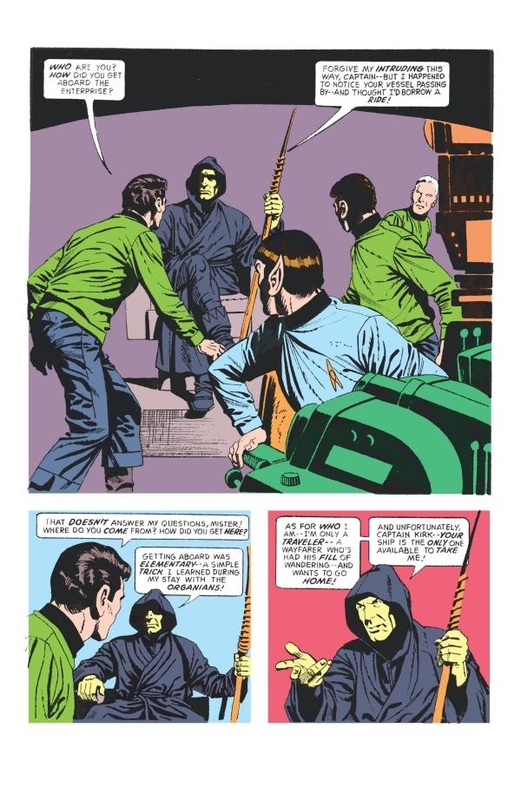 Amazon's look inside feature has now revealed several preview pages from the book, giving us a look a the first few pages from the remastered Dark Traveler. 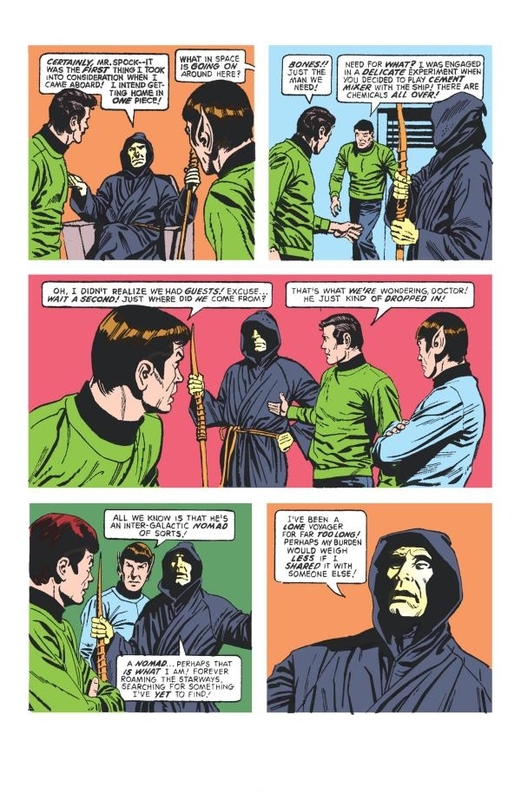 Continue after the jump to check that out, as well as a look at another vintage Star Trek comic. 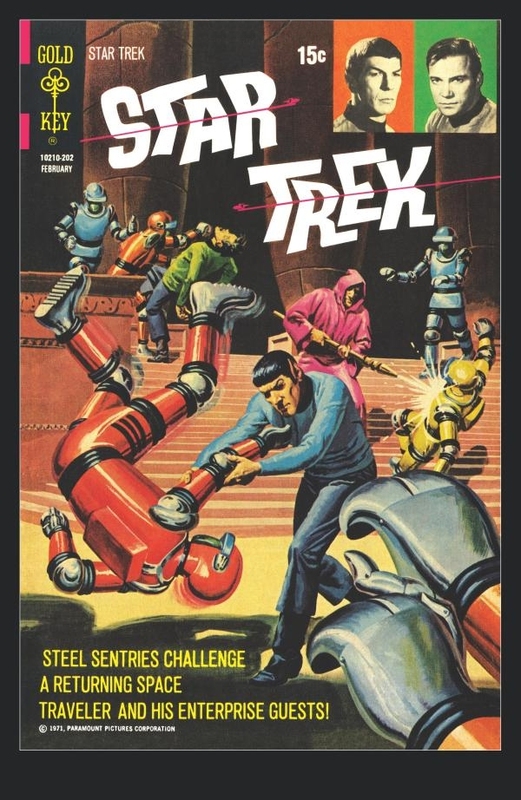 In other vintage comics news, posting on the Hasslein Books blog, Star Trek comics collector Rich Handley revealed his discovery of a long lost obscure Star Trek comic released alongside The Motion Picture in 1979. 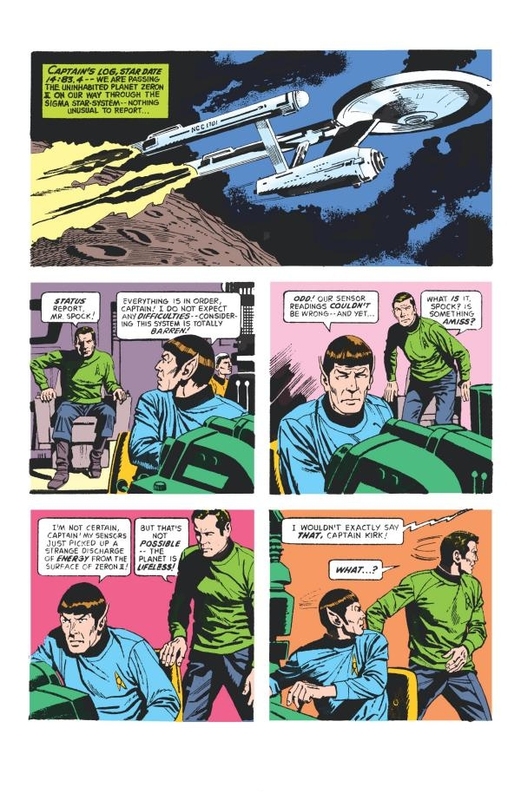 Star Trek Adventure is a very basic comic strip, presented as a scroll on a toy called the Star Trek Space Viewer, one of many low cost toys released by Larami when the first Star Trek movie came out. 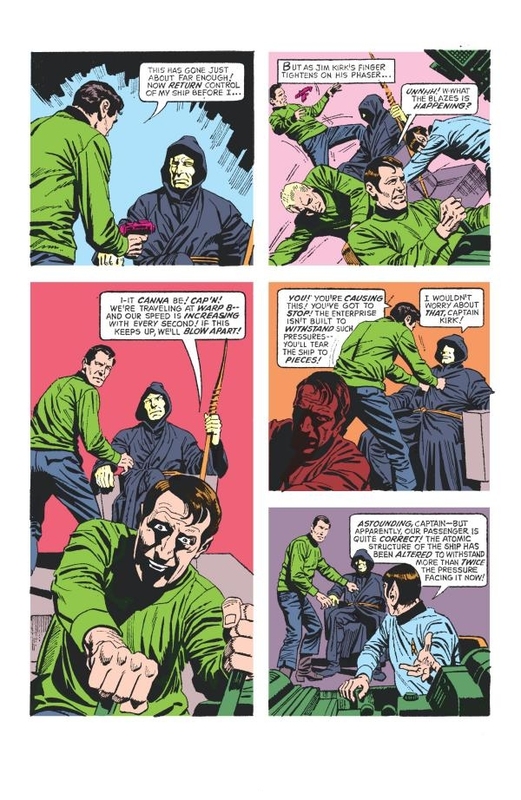 Visit the Hasslein Books blog to find out more about this find, and see the full comic strip. 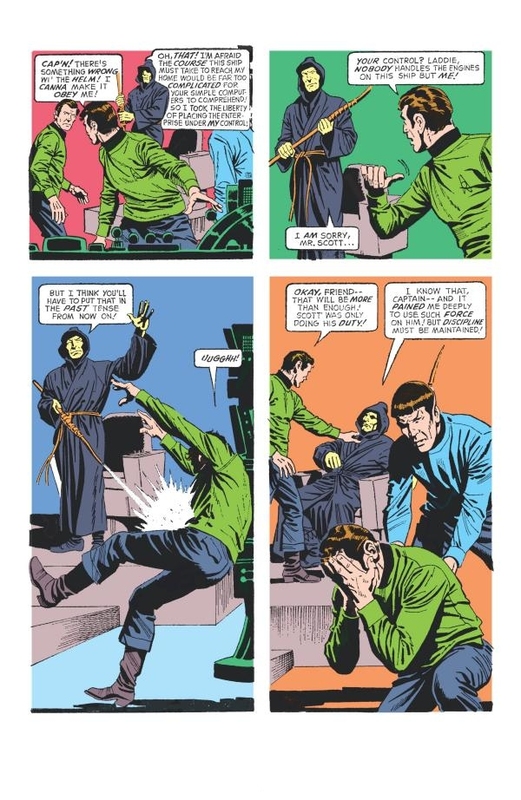 On that blog Handley, who helped bring about IDW's reprints of the rare American newspaper comic strips, when summing up his contributions to Trek comicdom, which also includes an essay in the excellent book New Life and New Civilizations: Exploring Star Trek Comics, cryptically remarked "there's more to come that hasn't yet been announced" - Hopefully that more to come is the reprint books of the old UK comic strips, which have so far evaded publication! Thanks very much for the plug!